H2M3J 109 Fullblood Buck “H2” pictured at 20 months of age and weighing 278 pounds. H2 produced some of the most beautiful does. H2 was a good buck that produced both show does and market wethers. 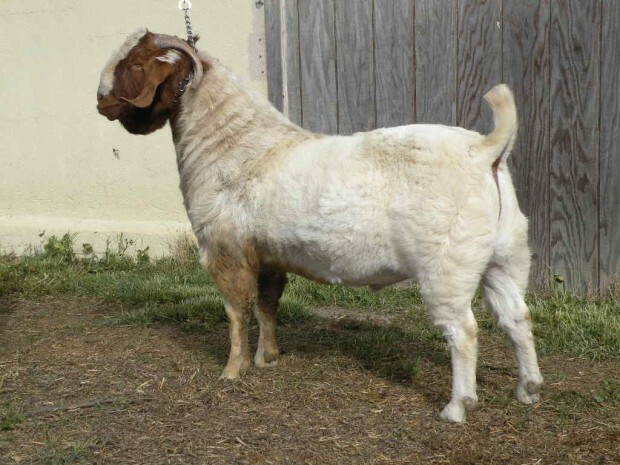 We showed him at the Monterey County Fair IBGA show he was the Overall Grand Champion Buck and was Champion Buck 12-16 months.